It was a few years and several haircuts ago when I first got involved with Heroes Fallen Studios and scripted a couple of accounts for Untold Stories from Iraq and Afghanistan. While the marine pictured here showed his appreciation by planting a great big smack on my cheek, that was only icing on the cake. 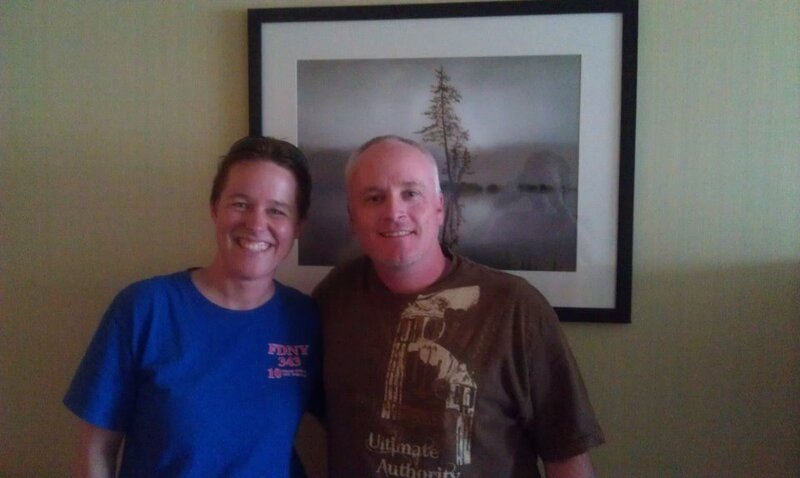 I did this for people like Ben, a soldier I met at an Idaho State University Veterans’ Sanctuary gathering. Ben had a lot of stories to share and simply needed someone to listen. I did this for Nick, Clayton and Collette, as well as others among the many wonderful people I met at Chicago Comic Con. Nick is a marine. Clayton and Collette are civilians, but they’ve taken it upon themselves to establish Heroes Fallen Studios and get the ball rolling, creating comic books as a forum for our veterans to share their stories. They couldn’t do all that on their own, so I became one of many who signed on to help. …and for Blue Angels boss Captain Greg McWherter, because F18 Hornets and the pilots who fly them are awesome! I did this for Bob and Jani, pictured with my family at the first Climb for the Heroes. Their son, Sgt. Bowe Bergdahl, was captured in Afghanistan in 2009 and is still being held by the Haqqani network. Harris is another reason. I met him while doing a book signing at Storyteller Comics and Games in Rapid City, South Dakota. The next day, at our second Climb for the Heroes event, my daughter and I met Ted, a veteran who had recently returned from Afghanistan. He was quite glad to take this picture of us at the summit of South Dakota’s Harney Peak. I did it for Sherri and Chris, soldiers who just happened to come to Idaho Falls, Idaho’s Outland Comics for Free Comic Book Day. I got involved for CJ, pictured with me, and for Scott, Victor, Louis, Brian, Mike, Jose, the Roberts, and everyone else who shared an account or two for the book- especially Kyle and Sudsy, on whose stories I was privileged to work. 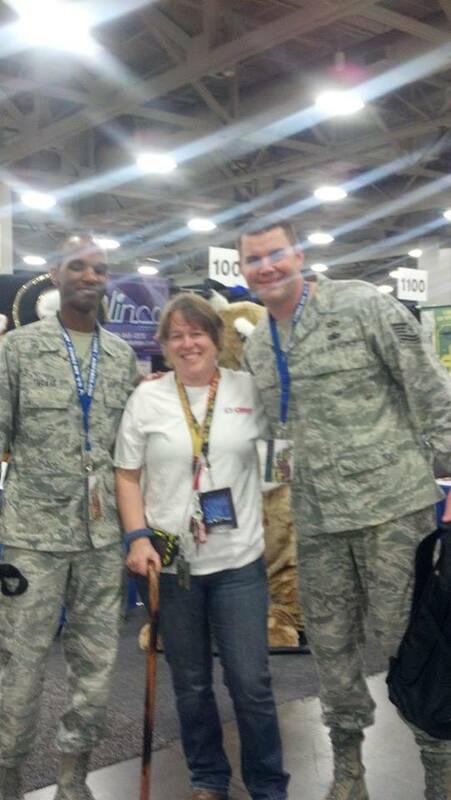 I got involved and chose to stay heavily involved for these airmen that I met at the inaugural Salt Lake Comic Con- and for “Feet” Jensen, for Dad, Ed, Zach, Kevin, Michael, the Baldwins, Sarge Marge, Tammy, Dirk, Doug, Gabe, John, Fr. Worster, and everyone who serves or has served in the armed forces, as soldiers, sailors, airmen, marines, or- yes- coasties. “I get it,” some readers might think. “You’re doing this because you support the troops.” Well, anyone can “support the troops.” Anyone can send money to some faceless entity. Anyone can slap a yellow ribbon on their bumper. I didn’t want to do that. I wanted to do something more personal and meaningful, something more likely to have a direct impact on the troops and the general reading public. I also wanted to take part in setting a precedent, hoping we could continue to share the stories of veterans from other conflicts, like the Korean War, before their stories are lost to history. And I also wanted to set an example. Shortly after Untold Stories… hit the shelves, my daughter was presented a unique school assignment. She had the opportunity to interview Hero Shiosake, who, during World War II, went from an internment camp to fighting on the Italian front as one of the 442nd Infantry. She didn’t just listen and take notes because her teacher required it. She recognized the importance of getting these stories not just from some history book, but directly from someone who was there. I think she did me proud. wow i am touched by what i read with stuff like this and seeing ur daughter involved it tells me maybe there is a chance for the future generations.